Looking for Helpful Tips on Finding a Great Home Stager? Watch this video to help you consider what to look for. Selling a home today often comes down to first impressions. People want to know how to sell their house fast and for top dollar! What’s the secret to making a property outshine everything else on the market? A house needs to first attract buyers online with great photos that make them want to see it in person. Once inside, a buyer can then make an emotional connection with the property. 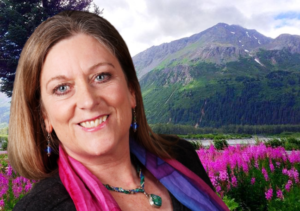 The secret… is home staging! Finding the right person to stage your home is easy if you know what to look for! Hire a professional stager with education, training, experience, and a great reputation. A great home stager can help you sell your house fast and for more! Here are a few tips to finding a great home stager to make your house look fabulous, both online and in person so it will sell fast and for more money. Visit their website and social media pages. They should look professional and project a dynamic business with frequent updates on current work. Not having a web presence could mean they are not an industry professional. Verify their education, training and experience. There are no legal requirements for education or training in the home staging industry. “Certifications” only mean a person has taken a course and is “certified” as having completed it. 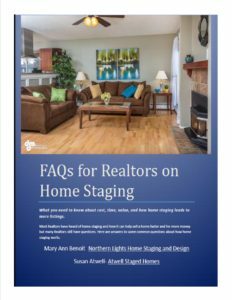 Do they have extensive training in home staging? Do they have an education in Interior Design? Do they have experience? 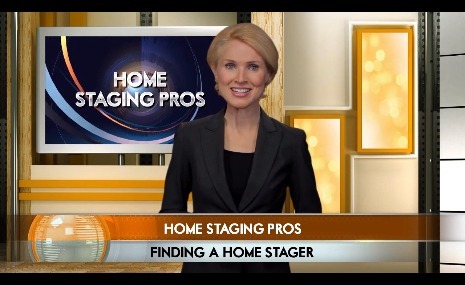 If a realtor offers staging, are they trained to do so? Ask to see their portfolio. Look at before and after photos from their past staging jobs. Is there a big difference? Do the after pictures convey a home that is warm and inviting? Would it be easy for a buyer to picture themselves living there? Check out their online reviews. Were other home sellers or realtors happy with the results, and did they enjoy working with the stager? Finally, understand the costs. Staging typically costs less than 1% of a home’s value, providing a nearly 300% return on investment. A low-cost stager may cost you tens of thousands of dollars in your first price reduction—much more than you will ever spend on the best home stager. 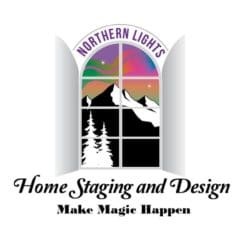 Northern Lights Home Staging and Design is an award-winning company that specializes in home staging and interior design in the communities in and around Anchorage and the Kenai Peninsula, Alaska. I’ve received the Best Customer Service Award in 2016 from Houzz, and have many glowing reviews from realtors and home owners. I have a B.A. 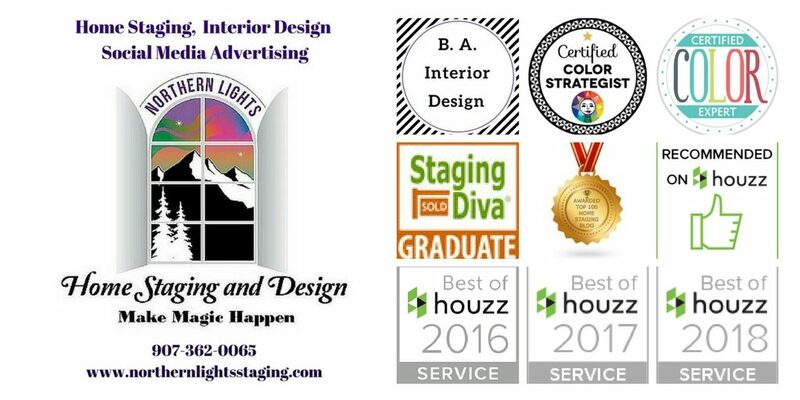 In Interior Design, am a graduate of the Staging Diva Home Staging Training program and love to help home owners make magic happen by combining my marketing skills with home staging to sell a home fast and for more money. For more information on the value, time, cost and process of home staging, get your free report, FAQs for Realtors on Home Staging. I love what you said about checking a home organizer’s website and social media pages; you really can get a feel for how professional the person is by their online presence. I think another great reason to take a look at their social media profile is that you can see how they interact with clients online — how they answer questions, respond to reviews, and ask for opinions. Seeing those things could really help you make your decision. We are planning on finding a home stager, so we’ll have to try all of the things you mentioned in this post. Excellent point on checking their online presence and how they interact with clients! Thank you and best of luck! We’re moving to our new house in two months and I want it to look great. It’s a good thing I found your post, it just made me consider hiring a home stager. Thanks for the tips! I’d definitely ask to see their portfolio. It’s one way to see what they can offer. Great and thank you!Best of luck to you with your home sale and in your new home.